With The Purchase And Installation Of 5 Or More Glass Block Windows. Present At Time Of Estimate. Prior Sales Excluded. Not valid with any other offer. Coupon void if altered. Expires 05/06/2019. Prior Sales Excluded. Valid With Coupon At Time Of Estimate. Not valid with any other offer. Coupon void if altered. Expires 05/06/2019. 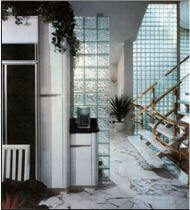 Print glass block coupons for Global Glass Block & Home Improvement. Global Glass Block northern Ohio's premier glass block window factory.Global Glass Block is qualified & capable of providing glass block for windows,walls,panels & more. Our products & services deliver privacy, security, insulation, energy savings & beauty! Windows, Walls, Dividers, Panels, Replacement Windows. Firestop Blocks, Goldtone Blocks, Nubio, Nubio Clear, Nubio Goldtone, Aktis, Aktis Clear, Metric, Clarity, Clarity Clear, Clarity Goldtone, Fortress, Fortress Clear. Basement Windows, Dividers and Panels, Entries & Doorways, Factory Windows, Kitchen & Bathroom Design, Living Room Windows, Masonry, Repairs & Tuck Pointing Chimney, Steps Repairs. Cleveland, OH, Euclid, OH, Warrensville Heights, OH, Bedford, OH, Richmond Heights, OH, Lyndhurst, OH, South Euclid, OH, Mayfield Heights, OH, Beachwood, OH, Pepper Pike, OH, Cleveland Heights, OH, Garfield Heights, OH, Mentor, OH, Willoughby, OH, Willowick, OH, Wickliffe, OH. Elyria, OH, North Ridgeville, OH, Avon Lake, OH, Avon, OH, Vermilion, OH, Northfield, OH, Macedonia, OH, Stow, OH, Cuyahoga Falls, OH, Solon, OH, Bay Village, OH, Eastlake, OH, Lakewood, OH, North Olmsted, OH, Westlake, OH, Brook Park, OH, Strongsville, OH, Independence, OH, Brooklyn, OH, Parma, OH, Berea, OH, Broadview Heights, OH, Berea, OH, University Heights, OH.